Fence installation must be done precisely to assure a fence that will weather the elements and last through the years. 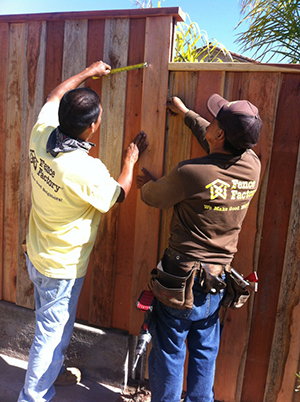 At Fence Factory, we are the experts in the field and can help you step by step on your fence installation. 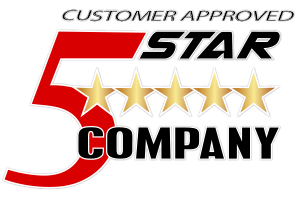 To start, it is important to contact local utility companies to mark any underground cables or pipelines that are in the area of where you want to install your fence. Once your fence installation area is cleared by the utility company, measurements of the fence installations area are needed. Estimating the amount of fence supplies will come next based on measurements of the property. Fences are typically sold in panels. If the potential fence area does not accommodate a whole number of fence panels and there is the need for a partial panel to be installed, this is usually placed in the farthest rear corner of the property or in another, less obvious place. If slopes are present on the area you are looking to install your fence, there are two options for installment. 1. The step method or 2. the parallel method. The step method requires the fence panels to step up the slope with the rails being level, while the parallel method requires that the fence run parallel to the slope. Starting with the corner posts, which are set first to insure exact alignment, the posts are placed about 1/3 of their length in the ground allowing for a solid sturdy base. After digging the post holes either six to eight feet apart. When placing the posts in the ground and either compacting the dirt or cement around the post, we constantly check the plumb and alignment of all the posts. Depending on the customer’s preference, there are many ways to connect the backer rails to the fence posts including toe nailed and face nailed. After the fence has been installed, in order to keep your fence looking great and to sustain its sturdiness it is necessary to apply a protective finishing treatment. This can either be down by stain, paint, or waterproofing sealer. If the fence is installed during the hot and or humid summer months, it is even more imperative to do this application quickly as fence rails tend to warp and separate from the posts in this weather. 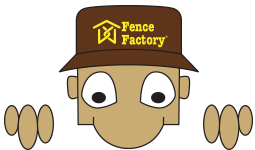 Whatever your fencing needs are, for fence installation or if you want to do it yourself, Fence Factory is here to help!